Your bathtub is one of the best places in your home where you can fully relax, clean up and feel refreshingly comfortable. After years of use, your bathtub can start to look old and grimy, which can change the entire look of your bathroom. Water is a top contributing element in bathtub staining due to calcium deposits that discolor the tub making it look like you never clean it. Harsh cleaners can also damage your bathtub over time. While you could change your entire bathtub, truth is that it is not only expensive, but also burdening. Getting rid of your old tub involves risking breaking tiles not to mention damaging walls and flooring. In addition, there’s some plumbing work involved when attaching the new bathtub. This is some of the work that can see your expenses adding up beyond your budget, which is why many people turn to other alternative options. Well, there is a better and more economical option – bathtub reglazing. Bathtub reglazing involves restoring that old and worn out bathtub back into its original form. When done correctly, bathtub reglazing is a brilliant and economical alternative to bathtub replacement. 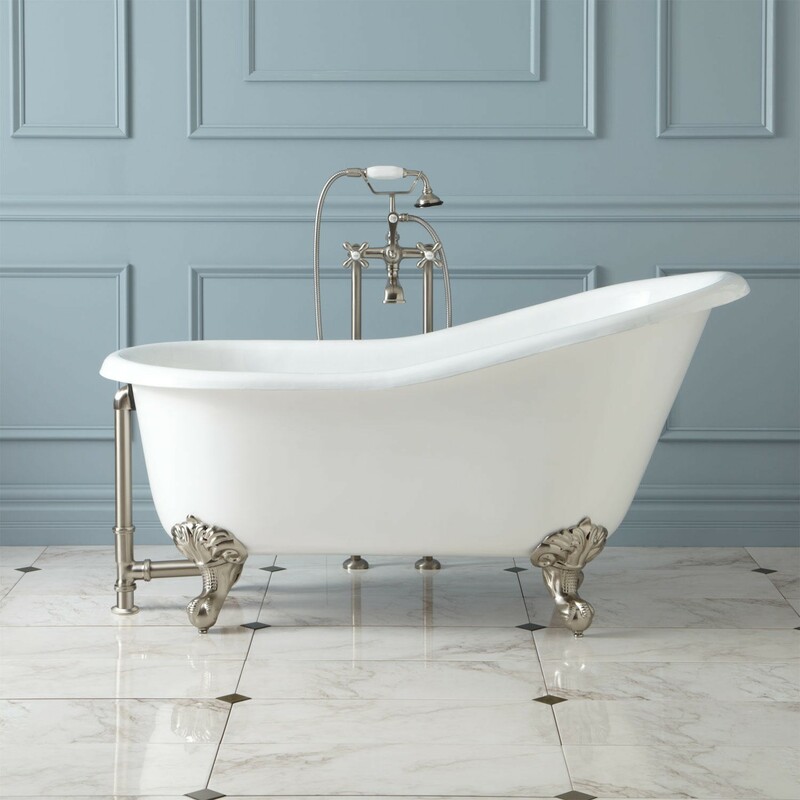 While the internet is littered with tons of DIY tips on this subject; it is virtually impossible to do a decent job when it comes to bathtub restoration all by yourself. Thus, bathtub reglazing is a job that’s best left to professionals as it is one gig that requires a lot of work and skill. Bathtub reglazing is a method that’s been around for years. To be more precise, this concept was developed in the 1950s. It is a safe and odorless process that can be carried out without disrupting the home owner’s daily schedule. It is also possible to reglaze the tub right there in your bathroom without interfering with existing equipment, plumbing or tiles. Steps involved include clearing out the tub, cleaning it and getting rid of caulking. The bathtub is then sanded and vacuumed until the whole tub is smooth. In this line of work, the margin for mistake is extremely high, not to mention that the chemicals used in the process must be appropriately contained and ventilated. There are specific materials for this process depending on how damaged your tub actually is; which may prompt the contractor to demand varying fees depending on the actual problem. The contractor hired will make sure to cover up areas that aren’t being treated, remove the fixtures and even set up a fan to air out the room. The best part is that the entire process usually takes about five hours or less, but of course that will also depend on your tub’s condition of the bathtub. However, a bathtub is usually ready for use in only 24 hours. If you hire a professional to reglaze your bathtub, the rewards will be brilliant – a smooth finish and a perfect look. Hiring a professional contractor will also ensure that the results last and you won’t have to worry about chipping or fading of the color. Once the job is done, you will be absolutely amazed at the transformation glazing has made to your old bathtub. Your once hard to clean bath tub, becomes easy to clean once again. The yellow-stained and discolored tubs reveal a fresh, glossy tub in your most preferred color. Not only will your tub’s look be renewed, but it will also save you a fortune, as well as days of inconvenience. Bathtub reglazing is with no doubt the perfect solution for porcelain that is worn out, chipped or whose color has gone out of style.